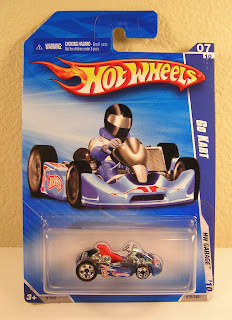 Hot Wheels Go Kart Go! 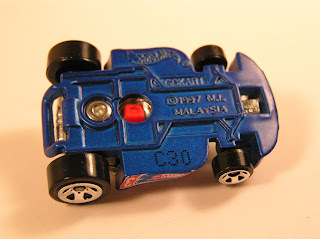 I love the weirder Hot Wheels. 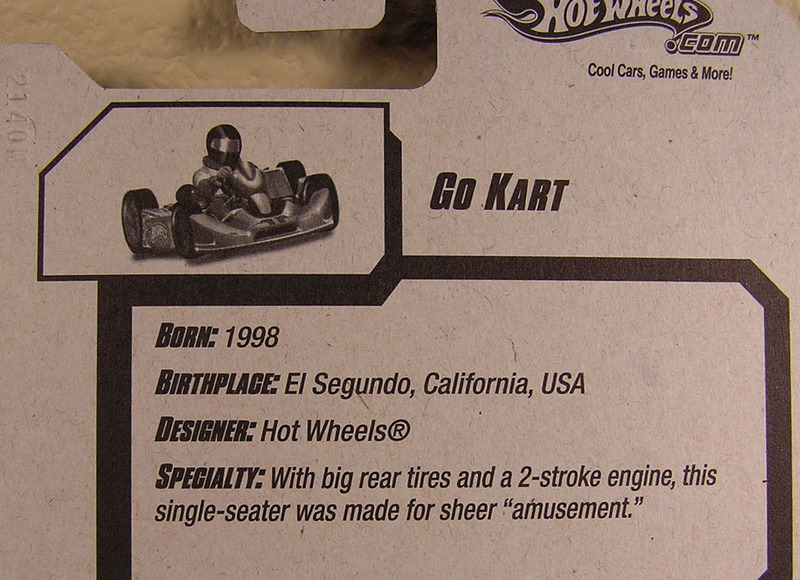 The Go Kart is so spiffy. 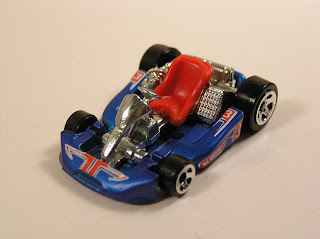 A bit smaller than a usual car, a little slower, but still totally awesome. Its been around since 1997, the underside says, so a few other paint jobs exist. Kind of makes me want to find those, and build a miniature go kart track. It could be like a modernized zen sand garden for the desk. I wish I had my old PC running with Roller Coaster Tycoon, I could show off some neat tracks I used to build for go karts. I called one "The Intestine" and colored it pink. 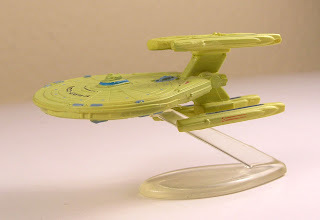 It was made up of 95% curves, and if it was built in real life, people would be barfing. 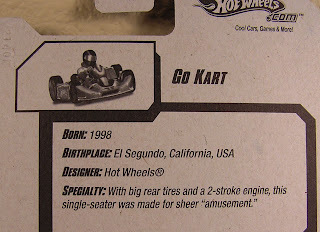 Go Hot Wheels Go Kart, Go! A big reminder that two Batman toy collecting giants will be throwing down tomorrow morning, to see who has the bigger Batman action figure collection. Will it be Chunky B from eclectorama, or the return of Reis O'Brien from Hey Look at my Toys. OR, will it be the wild card The Toy Museum??? Most likely not, because i weeded out my collection a few years back and I just don't think I am insane enough to bet a treasured figure. I just thought I would advertise the event up, and throw down what I do have. Yes, I have a lot of Batman stuff, some not even pictured. 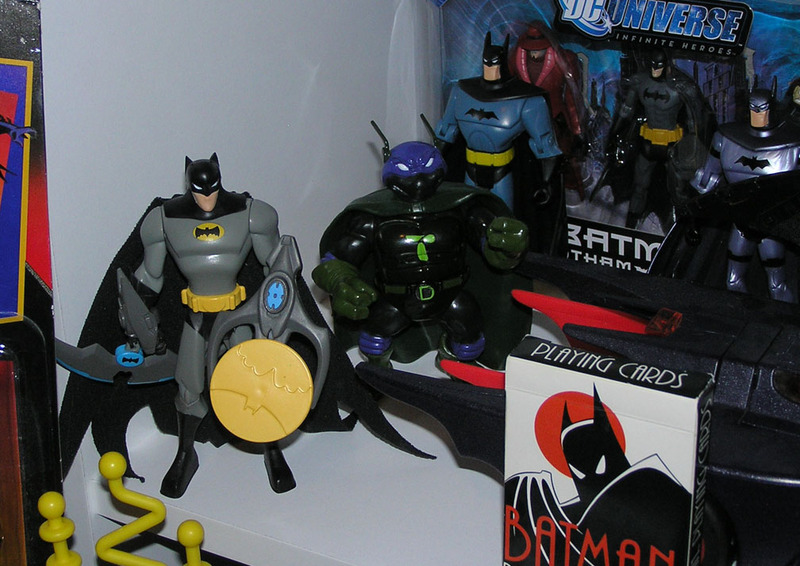 But the contest rules state; just the action figures, and they half to be opened!!! (so I am already screwed there). There's no way in heck I am opening my 100th anniversary Kenner Batman figure, or my first Batman the Animated series Batman. 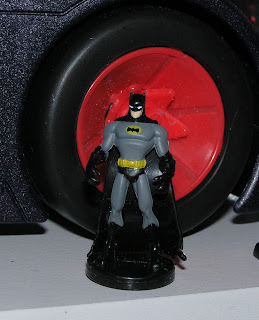 By the way, does the Batman lollipop holder count as a figure, the one with half a body, and the unfortunate placement of the activation button? Does the Teenage Mutant Ninja Turtle count, he is almost batty? What about plush Batman? By the way, what's all over his face? Oh that's just Robin's head. 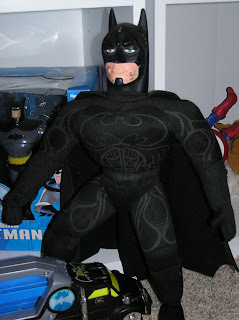 Let me rephrase, Robin's head paint wacked off onto Batman durning a fight. Do the tiny figures count too? That adds about ten to my collection. 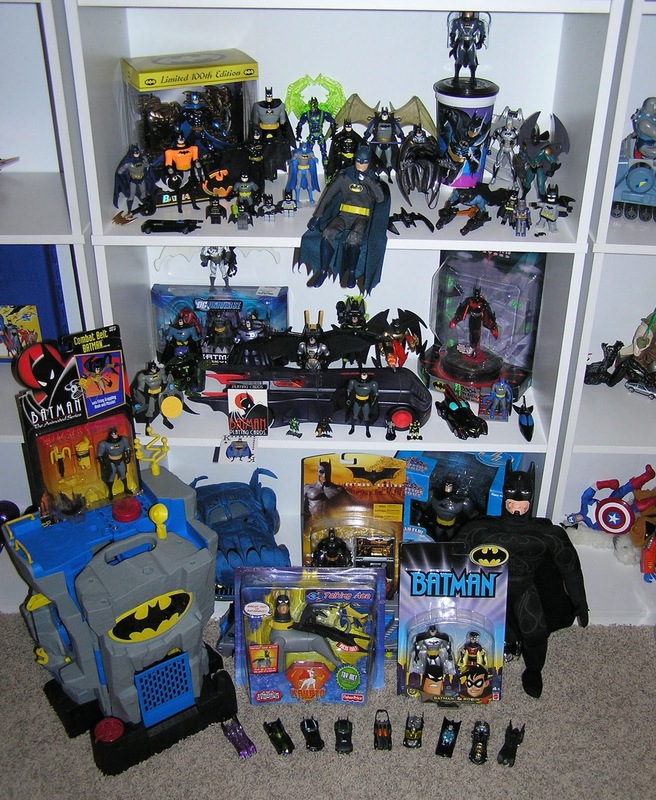 So I think I have about 45 Batman Figures total. I sold off about 25. 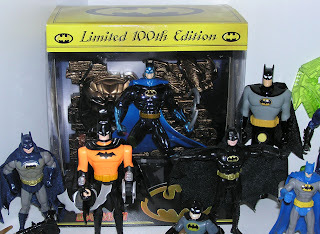 So I would have had 70ish Batman Action Figures. Is that even close to the real thing tomorrow? We will see. 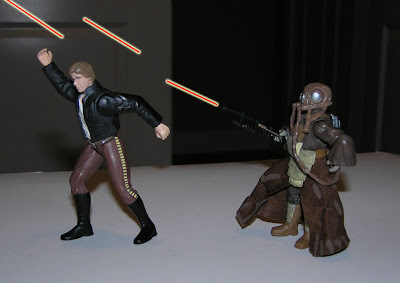 Also, let me just say, since I know I'm going to loose, I won't be giving away a figure to both Reis and Chunky B, sorry. But if my Wild card does go wild, and I win, ha-hah. By the way again, I like how Captain America some how made it into the top picture. NoooooooO! 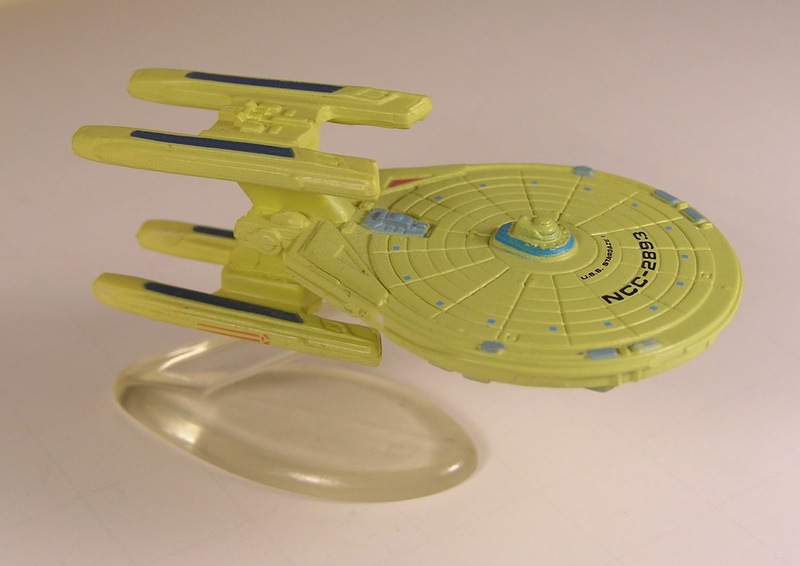 Is it turning out to be a Star Trek week, or did I just find a baggie of old Micro Machines, so I'm having fun either way. 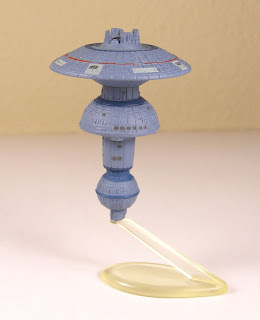 The Federation Starbase! If you can balance it on the stand you get a prize. I always thought that this station was a ton of metal to get into space. 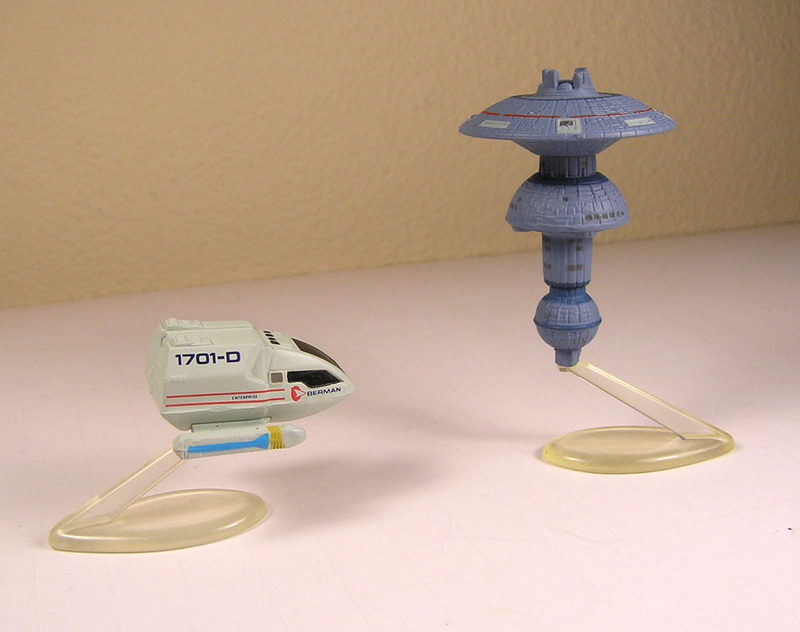 I can believe the starship sizes, but this Starbase is huge. 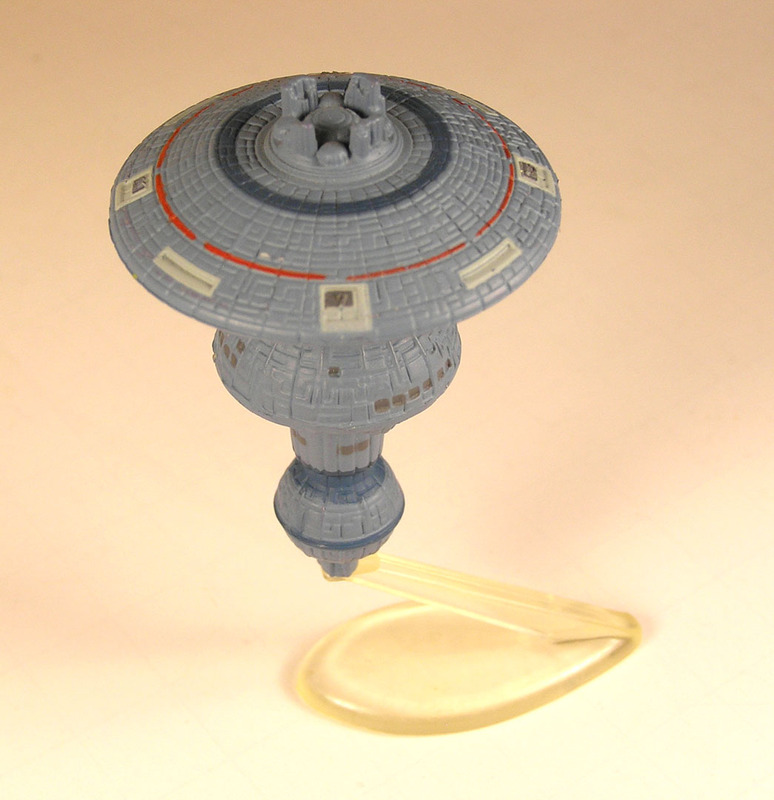 It doesn't help when the movie Enterprise barely fits through the hanger doors, and then in the future the Enterprise D fits though easily. 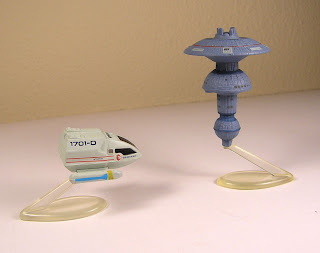 Those might be different bases from different shows though. Although simply huge, this is a cool looking space mushroom. 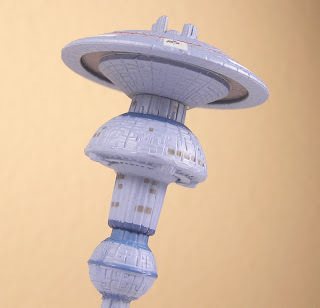 I guess I could see Starfleet building it in stages. 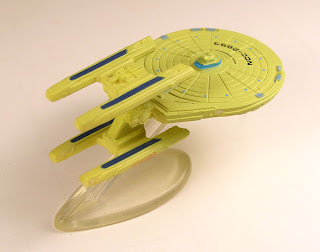 I always wondered, when Earth gets attacked, why doesn't this thing come out and say, ram into a Borg ship. That would make a neat five minute movie. 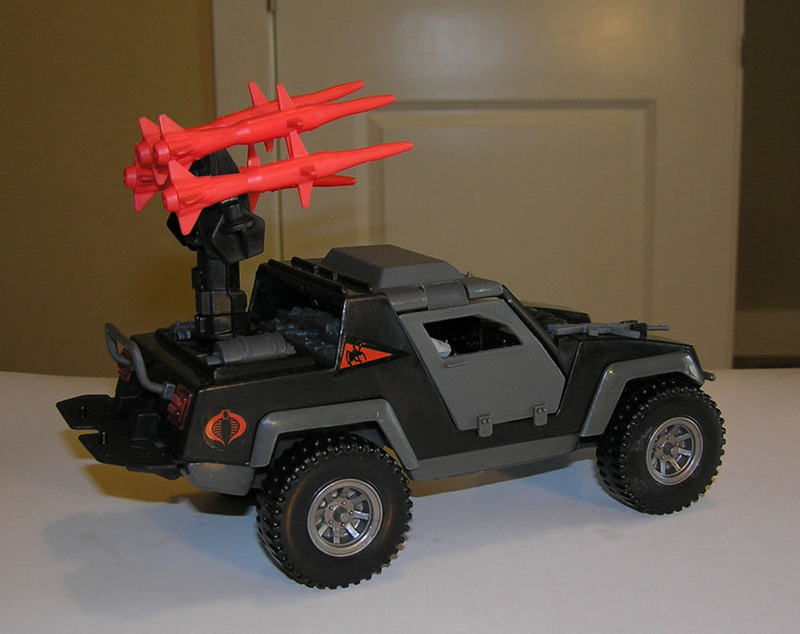 I'm sure it has a super laser that shots out the base too. 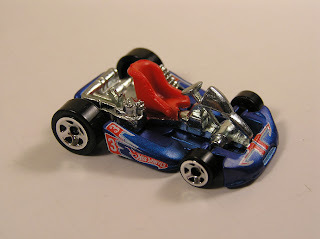 So how does the station match up in scale to the other Micro Machines? 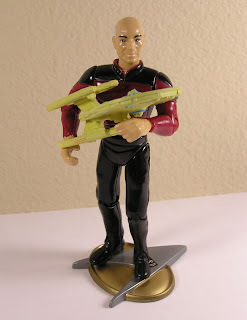 Not too well, but that's Star Trek for you. From Texas to Idaho the best Claw Machine grab ever! 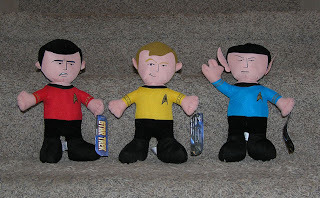 My Claw Machine skills are hitting new levels as I hacked into the International Space Station, dropped a claw down into Texas and then return dropped these to Idaho. If only I had that on camera. The true story is Chunky B from Eclectorama heard my expensive stories on claw machines (and paying his bassets through college), and whimpers about not winning these in Vegas, and so graciously sent these to me. How awesome is that!?! 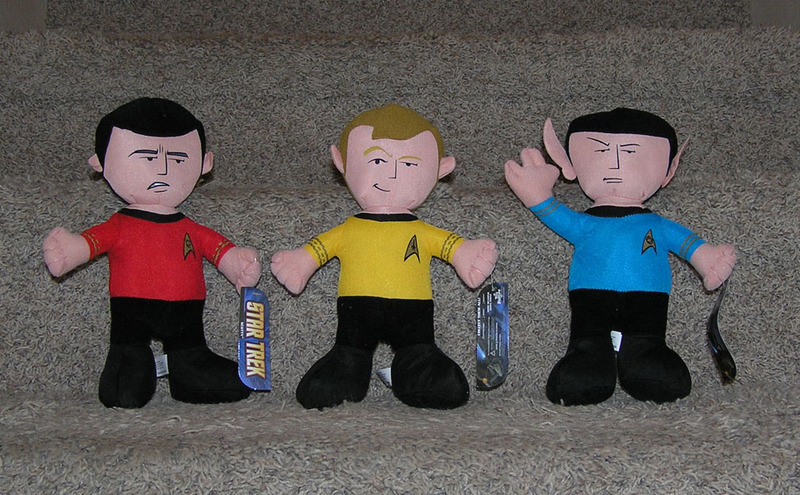 Plush Original Star Trek toys are the best. Its been a challenge keeping them away from the animals already, they want to play SO bad. I think Bart here smells Squee. These will have to go to the top shelf for safe keeping. 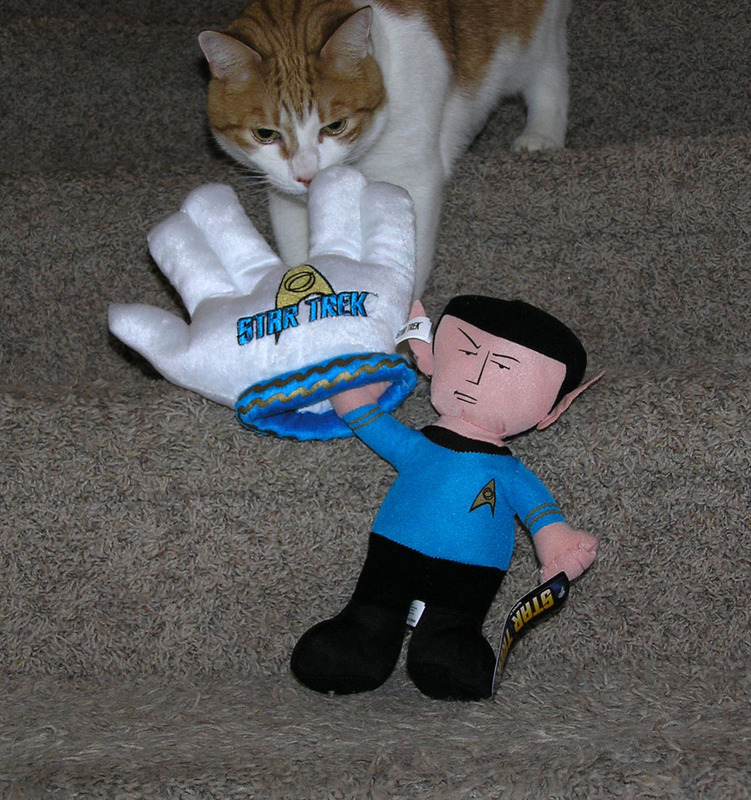 With fantastic face designs on Kirk, Spock and Scotty, I can act out many adventure. I'm wishing I never sold my 12" Mugato on Ebay. 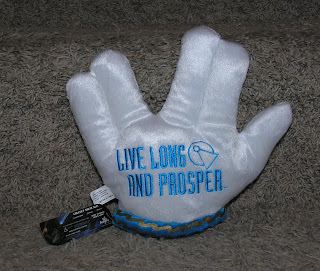 Also included are a couple of Spock gloves, for the big game. My hand almost fits! Live Long and Prosper Chunky B, for your most generous of gifts. I will have to find something truly unique for you to top these guys. It's been awhile since I have highlighted anything ultra nerdy, so here we go, the USS Stargazer. 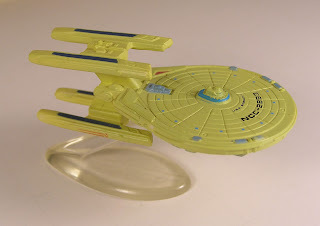 If you already know this ship, you're a nerd, and you past the test. 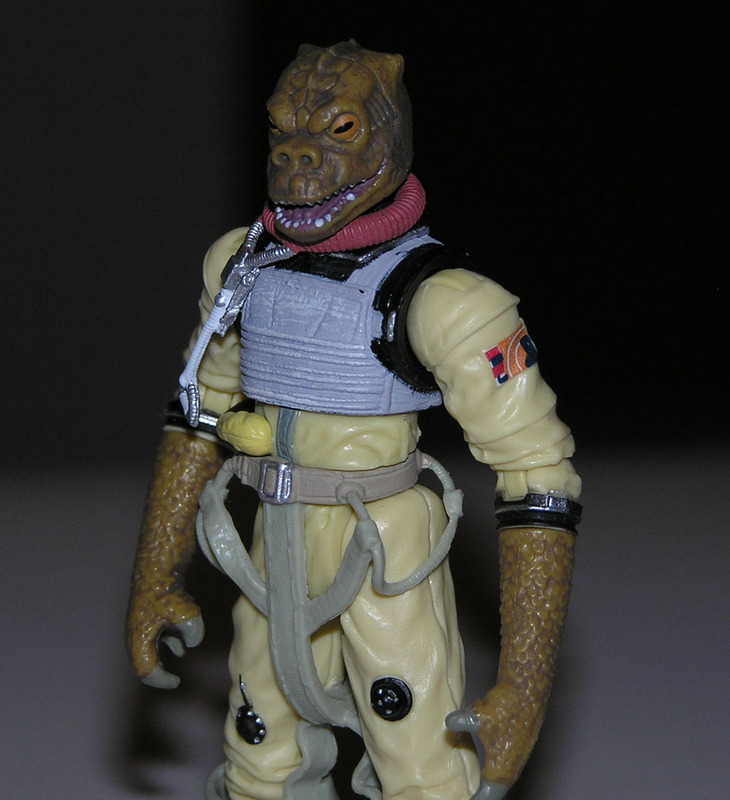 If you own this toy, you are a mega nerd, and I shake your hand. I have been playing Star Trek Legacy on my X-Box 360 the last few weeks, and I got to this level where you actually get to fly the Stargazer. The game even creates the moment when bridge officer Picard takes over as Captain. I found that incredibly geeky, and thought I would share. This Micro Machines ship from the early nineties is yellowed to show that its an older ship. Well, I don't really know why its yellow, and the other ships were gray, but it seemed like a good explanation. 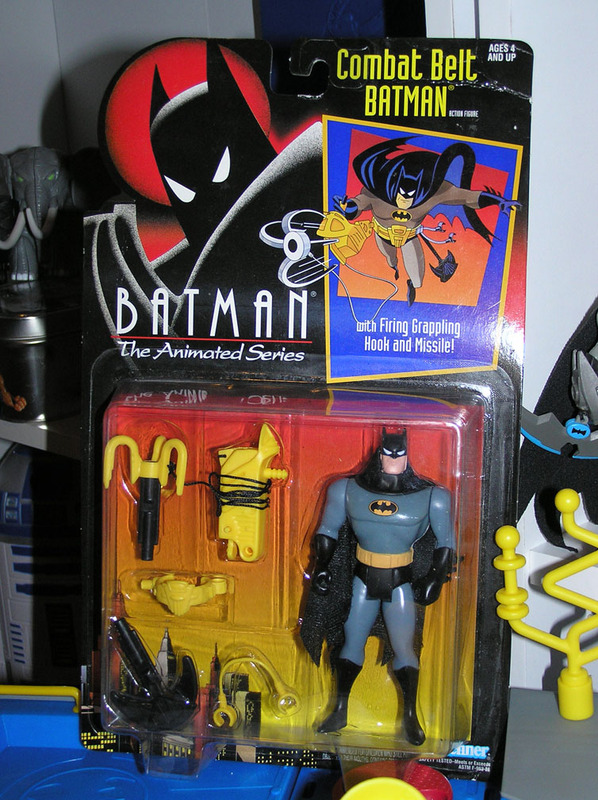 I think I bought this as a one pack, which was rare as these things usually came in threes or in box sets. It has pretty good detailing for a Micro Machine space ship. 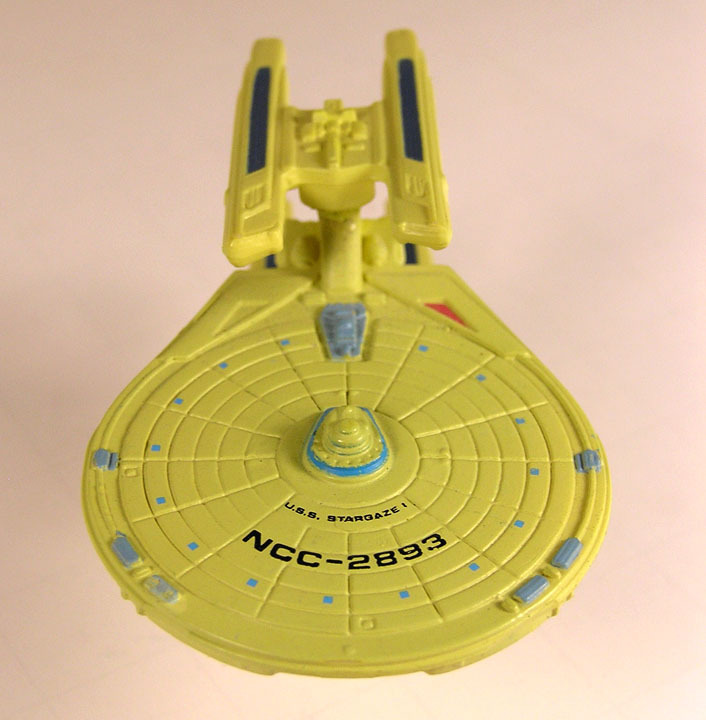 She's a fun toy to play with, always flying apart at the seams, killing Commander Crusher, and performing Picard maneuvers in the bathroom. So we raise our glasses high to the Stargazer, and this most geeky of posts. 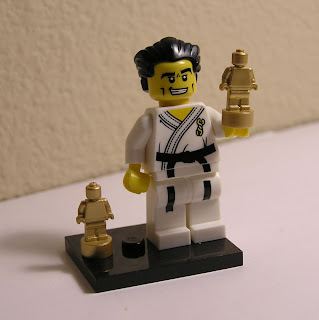 Ha My Lego Karate Master has two gold trophies! 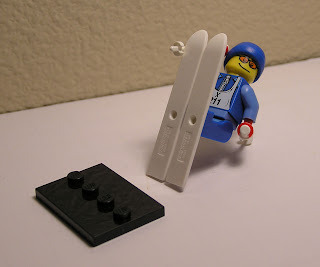 The skier is one of my favorites from this series, but he only stands on his base when he holds his skis. Try getting him to hold all of his gear at once is a challenge. I guess if they made the holes bigger his skies would be really thick. 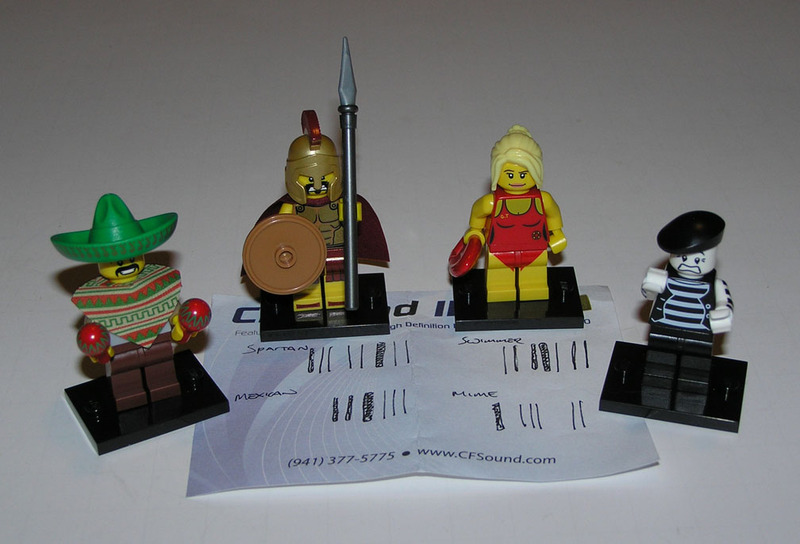 It appears that many of the Lego Minifigures come with corresponding counterparts. This one has to be my favorite. 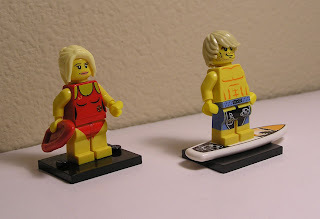 The Swimmer and Life Guard are great additions to ones Lego Minifigure collection. 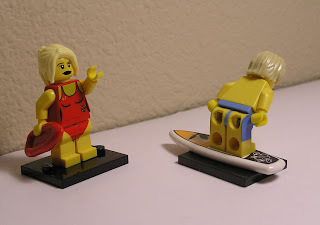 But, the Surfer may have some explaining to do about the back side of his shorts. 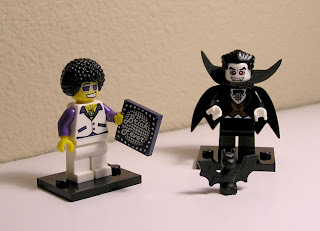 I cracked the code again with the Vampire and Disco man. Also cracked but not opened yet are the Surfer guy and Pharaoh. 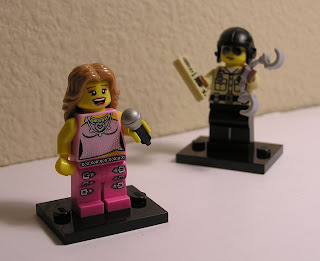 If I get enough of these guys, I could do a Lego survivor thing. 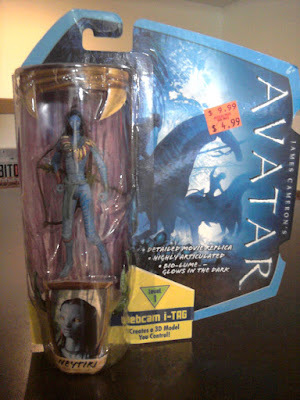 So here it is, my review of the Action Figure Jake Sully! Finally, Finally I was able to find these in a store near me. Lego had this great idea to make minifigures in mystery packs then never release series 1 in stores. Great idea! Then they had another idea of making a series 2 and torturing me of their impending no show. Astonishingly enough, they did show! Not wanting to do what I went through with Attacktix's mystery packs, and Lego's inability to get me sereis 1, I decided to cheat. I won't say exactly how I got the codes, but it involves typing 'Lego Minifigures Code' in Google, learning some German, then finding a better link, and using that. 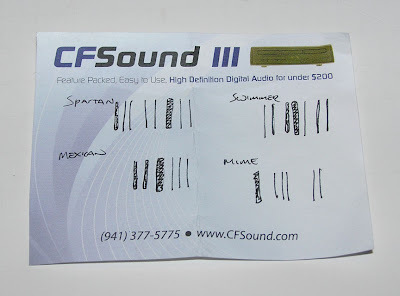 I was at work at them time of my search (off the clock of course), and I didn't want to use our low ink printer, so I sketched the ones I wanted. 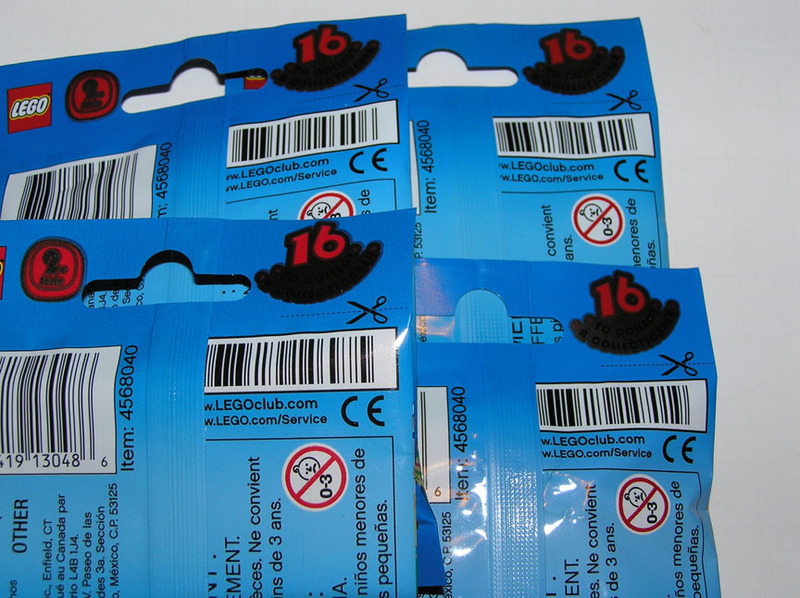 The codes are only the last few bars on the upper right corner barcode of the back package, so its not too confusing. 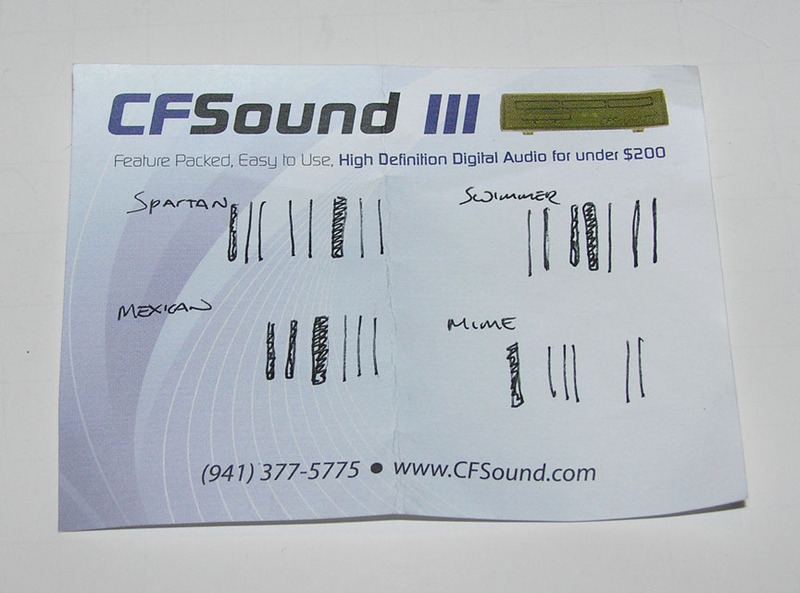 By the way the CFSound 3, is the best digital audio player online and models start at under 200 dollars. 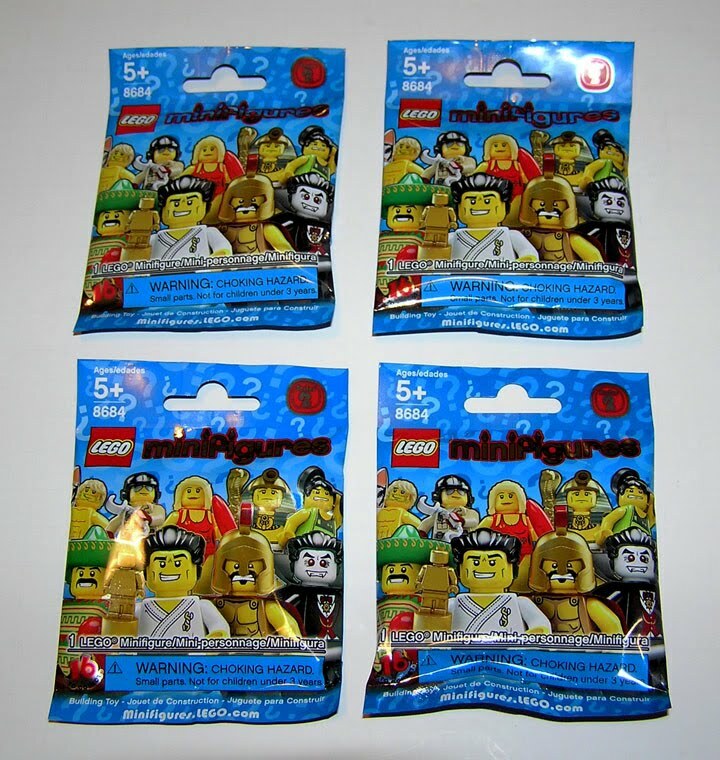 I spent about fifteen minutes sorting through the packages of the four figures I wanted. I made piles of pretty sure, and maybe pretty sure. Did I succeed? Of course I did, I am a freaking toy barcode genius. So there they are #1 Mexican (is that PC? 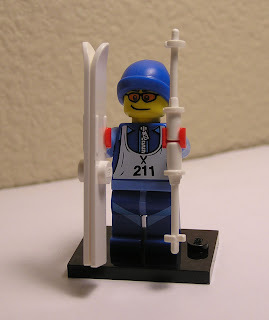 ), #2 The Spartan, #8 Bay Watch girl, and #9 Mime. 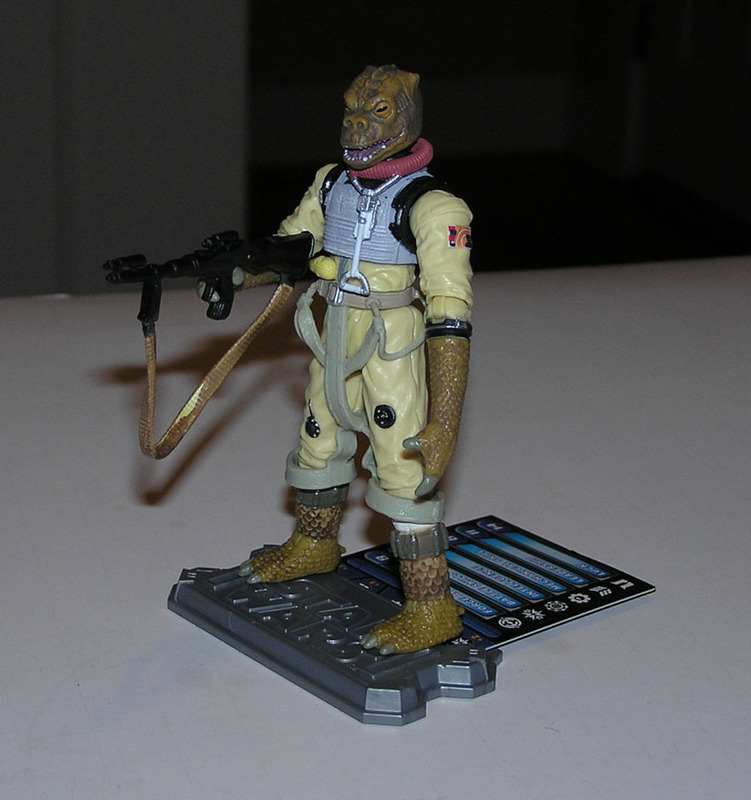 Oh, I also got the stupid #7 Safari Joe blindly, when I first found them in stores (before I ran back for the codes). I though 1 out of 16 chance to get the least wanted figure would be good odds. Doh. 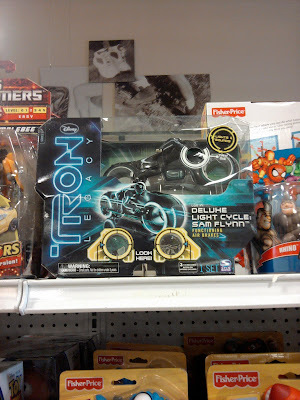 Anyhow, lets cheat some more by commenting on toys I haven't even bought yet, or probably won't buy, Tron Legacy Toys! They are appearing now on shelves. 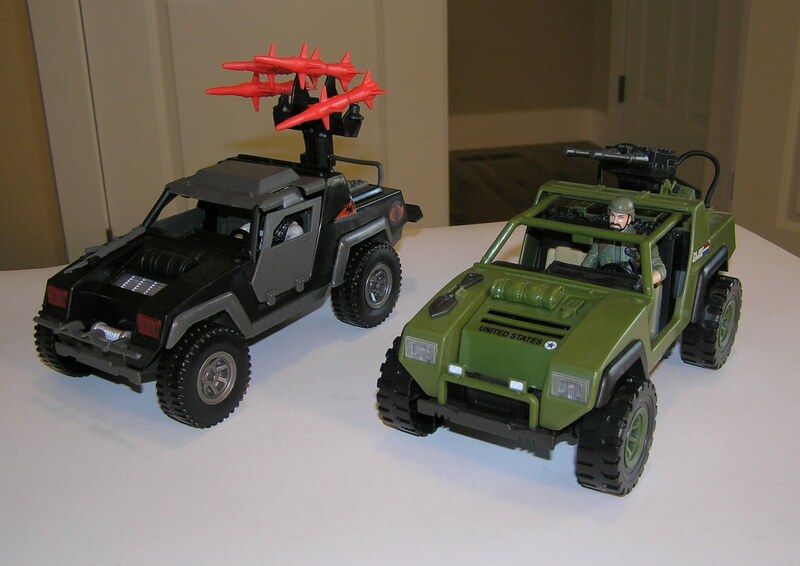 Anytime a new toy like this comes out before the big movie release, a part of me wants to buy them all out, and scalp them just like Dwight and his Princess Unicorn hoarding from The Office. Will these sell, or will they fill up the shelves like Avatar toys did? My early thoughts, are they will fill up the shelves and sit. They don't look too good in the quality department. Some neat light up effects, but not enough to really seal the sale. It looks different enough, might do well for a car for the Baroness. 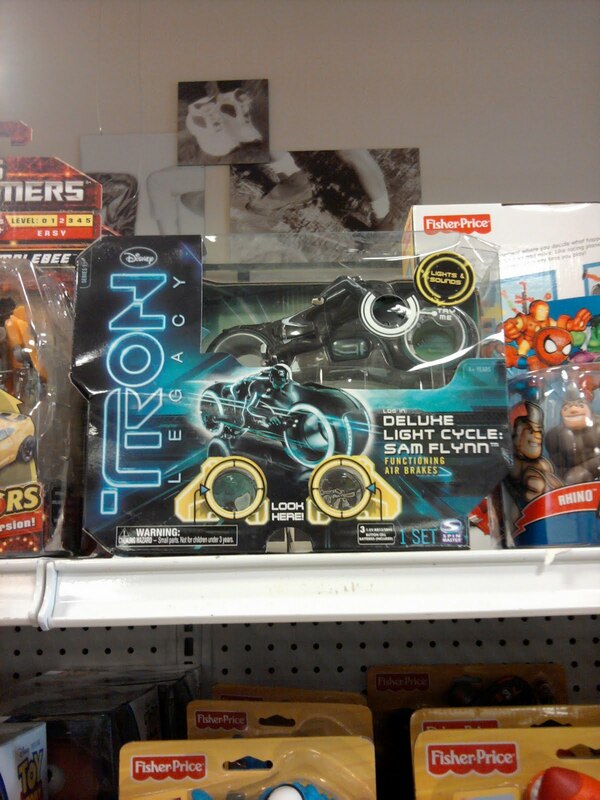 The Light Cycle is disappointing too. 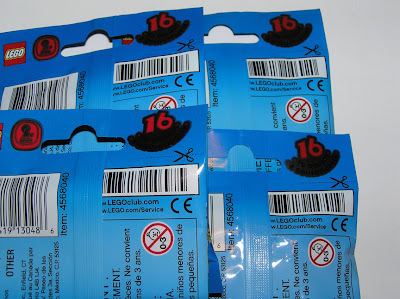 Why can't they make these things deposit a ribbon of plastic for a few hundred feet. They do make light up ribbon, now that would be awesome. So my early thoughts are Mehh, I'll pass for now and just enjoy the movie. 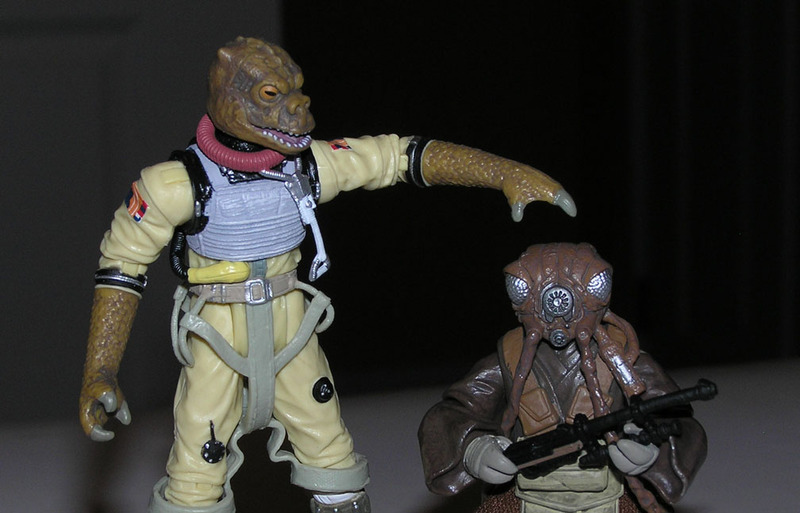 For some reason Zuckuss is at the bottom of all jokes of Bounty Hunter scum. Maybe its the name or the deep sea diver suit he wears, Zuckuss gets no respect. Maybe because he is too short to be a Bounty Hunter? Maybe because he is a Jawa with a different helmet? 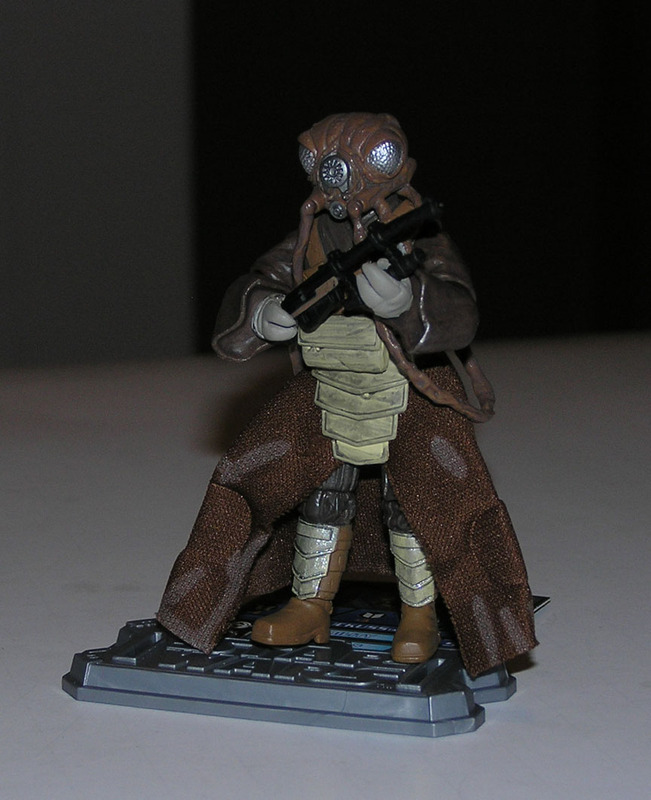 Maybe he Zuckuss at shooting down Solo? 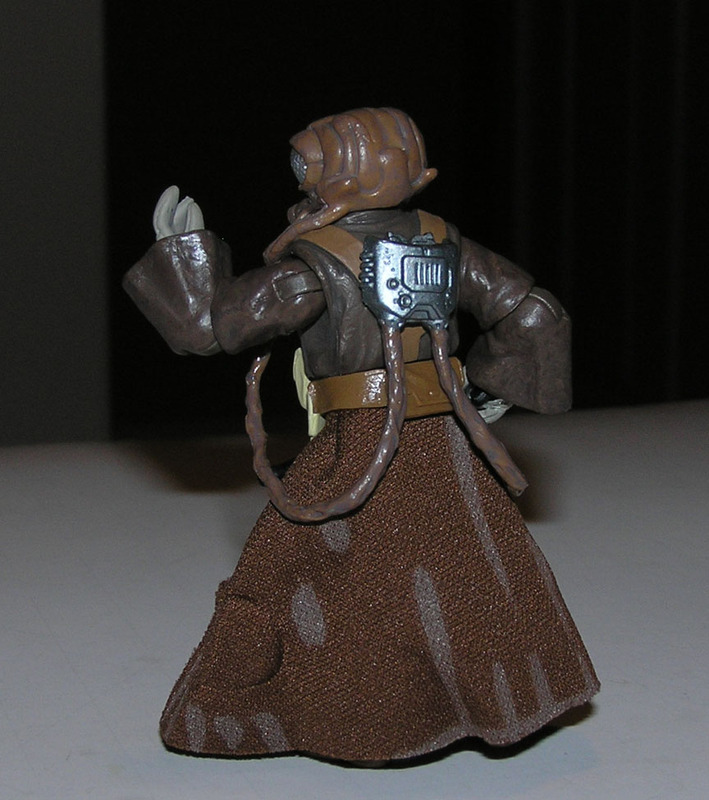 Zuckuss being a nickname given by the other Bounty Hunters. His real name is Zuckussington. 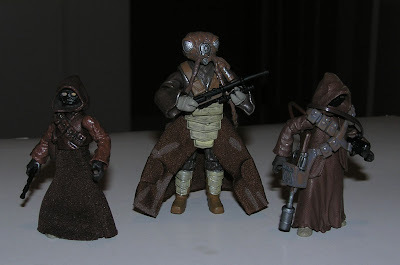 So thats some things about Zuckuss you should probably know. There has never been a better time to pick up Darth Vader's line up for Bounty Hunter scum. 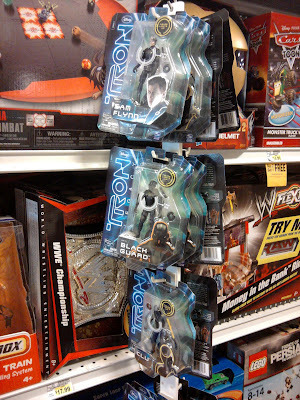 I think the whole line is on the shelves right now in various packaging series. Bossk here was in the Saga Legends pack, and is absolutely fantastic. The lizard guy in a space suit was my favorite from the 1.5 seconds of air time in The Empire Strikes Back. At least he got the line; "Ssssskkgh." This figure is top notch all around, with great sculpting, paint and articulation. I need to find him a space ship fast. 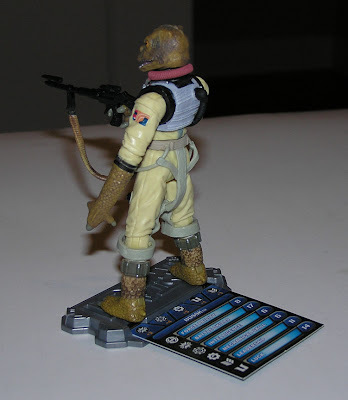 I believe he's a reissue, probably for the fifth time, as many of these figures won't die off (has C3P-0 been on that wood Ewok chair now for ten years?). With this line though, a game is born. A spiffy dice is included, with a point card. The dice look cooler then the game. While Bossk sat at my desk today at work, I pondered if he was the same species as the Cantina lizard guy, but it looks like they are not. Maybe close cousins? 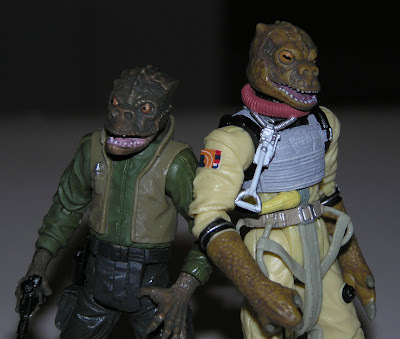 They both have really similar heads, but their hands have different amount of fingers ...or claws. They do make a nice duo. Now I need to find a ship that fits them both. 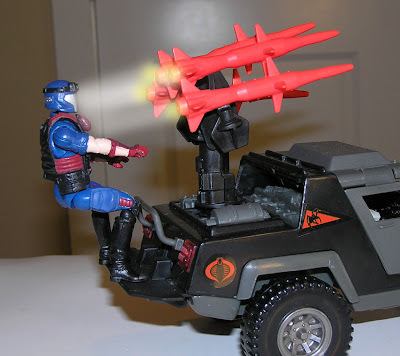 When you need something other than a HISS Tank for Cobra, I recommend the Stinger. Cobra built Stingers ares of top technology borrowed from stolen broken down GI Joe VAMPs, with added Stinger missile launchers to the back. Stinger's are in no way vulnerable from someone shooting the missiles up top and destroying the Vehicle. Stingers are in no way vulnerable of being back heavy, roll prone, and blow-up-able. 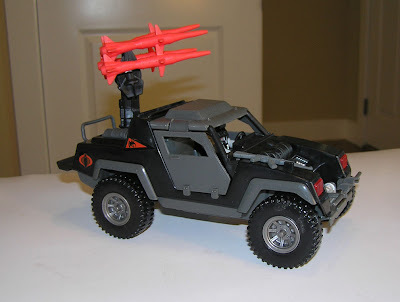 Stingers are in no way vulnerable of having missile lock, and launching the whole vehicle up on weapons fire. Stinger's are in no way vulnerable of frying the back bumper rider off with the missile launchers. As you can see, the rider has a handrail, so he's clearly okay. If you get a chance to pick one up do so, its a fun toy. 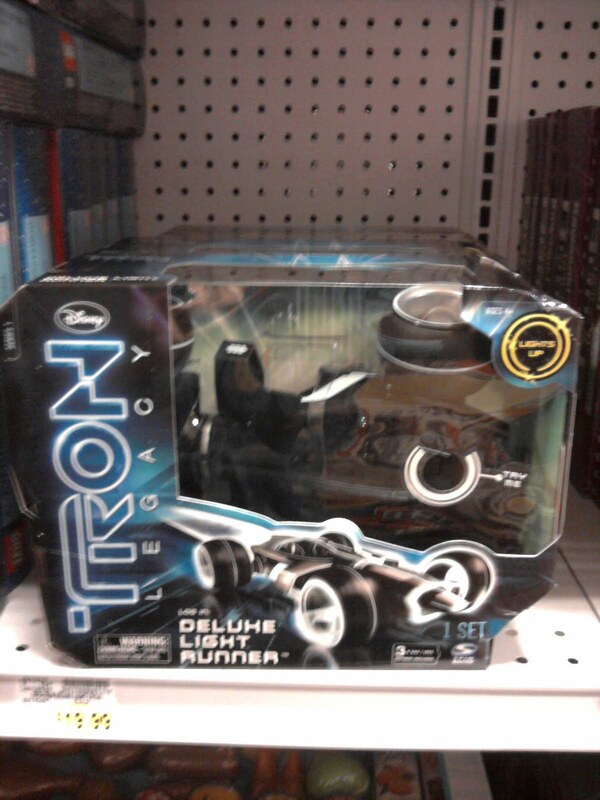 Found mine at ROSS for a great deal.